At the world’s largest wastewater treatment facility near Chicago, the Metropolitan Water Reclamation District (MWRD) built the world’s largest nutrient recovery facility, a $36.8 million commitment to cleaner water. The Stickney Water Reclamation Plant now recovers as much phosphorus and nitrogen as it can and sells it for reuse as agricultural fertilizer. 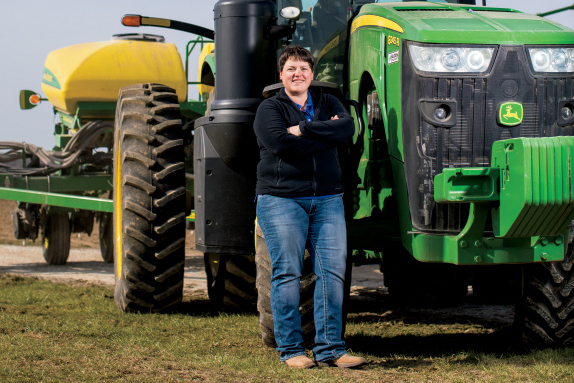 About 250 miles downstate, Greene County farmer Maria Cox and her family commit to cover crops, split nitrogen applications and routine soil testing. Their goals: maximize crop productivity and keep nutrients where they’re needed in the soil, not downstream. Thanks to progressive technology and ongoing research into best management practices, rural and urban areas alike learn better ways to work for cleaner water. 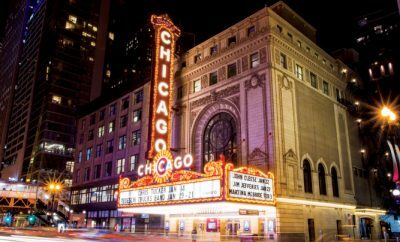 And voluntarily, farmers and urban caretakers accept the challenge to protect water resources in Illinois and downstream to the Gulf of Mexico hypoxic zone, an ocean area containing low oxygen levels. Since its inception in 2012, the Illinois Nutrient Research and Education Council (NREC) has invested nearly $9.8 million in nutrient-related research efforts for agriculture. NREC, in which the Illinois Farm Bureau serves an active role, intends to help farmers meet the Illinois Nutrient Loss Reduction Strategy to reduce nutrient loss to Illinois waters and the Gulf of Mexico. 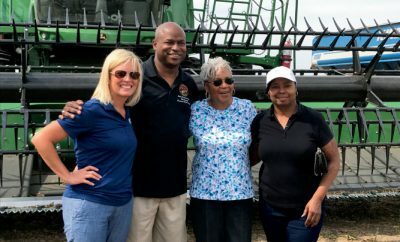 Farmers like the Cox family embrace these goals because minimizing nutrient loss maximizes agricultural productivity while reducing the impact to the environment – a win-win-win. In fact, the Fertilizer Institute named Cox a 2018 National 4R Advocate for her farm’s nutrient retention efforts. The program recognizes farmers who place the right fertilizer source, at the right rate, right time and in the right place. On target with the 4R’s, Cox takes soil samples with the location services of global-positioning satellites to write fertilizer prescriptions. This practice allows the site-specific application of fertilizers, including phosphorus and potassium, at variable rates based on what the soil needs. Similarly, Cox has changed her strategy for application of nitrogen, a necessary corn nutrient and a problem point of pollution in rural areas. 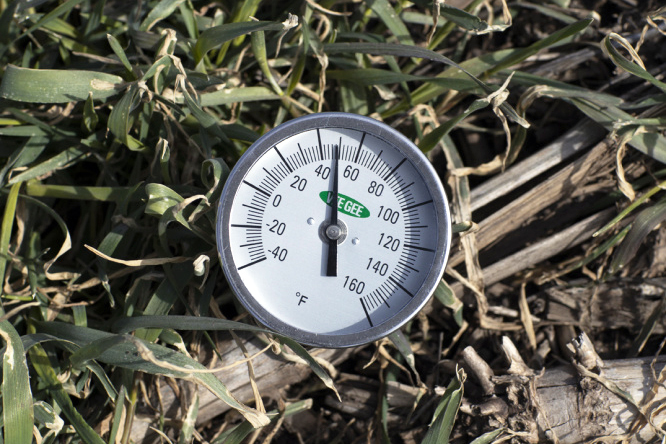 To retain that nutrient, Cox applies nitrogen in split applications early in the growing season when the crop needs it, as opposed to all at once months ahead in the fall. Most visibly, though, neighbors notice plants continuously cover about two-thirds of the Cox family’s land, even in the dead of the Illinois winter. The family seeds the soil with cover crops of cereal rye, oats and radishes between cash crops to reduce soil erosion, control weeds and hold nutrients for the next corn or soybean crop. MWRD of Greater Chicago partnered with a private company to create a system that could recover phosphorus and nitrogen from the water treatment process and create fertilizer for agricultural use. Fore says the nutrient recovery process has worked well, helping the plant remove up to 96 percent of total phosphorus and 84 percent of total nitrogen on average from the Stickney Water Reclamation Plant’s treatment stream. She says the facility appears on target to move the needle forward for nutrient reduction goals in the Illinois Nutrient Loss Reduction Strategy, too. The district combines the recovered phosphorus and nitrogen with magnesium into small granules to sell as fertilizer. The product, known as Crystal Green, generates revenue for MWRD to offset processing costs while helping meet environmental goals and regulations. Crystal Green acts as a slow-release granular fertilizer, and its nonwater-soluble trait prevents the nutrients from becoming negative runoff in the future. Meanwhile, MWRD works to reduce nutrients and improve water quality at other locations. The district is developing a nitrogen removal system at its Egan plant in Schaumburg. Ongoing research looks at the sustainability of growing algae in a “vertical revolving” fashion at its plant in Skokie. And as part of a statewide partnership, MWRD applies nutrient reduction strategies on its land in downstate Fulton County to address nutrient runoff for nonpoint source pollution.